1. Combine's cab is small and has many visual blind spots. 2. 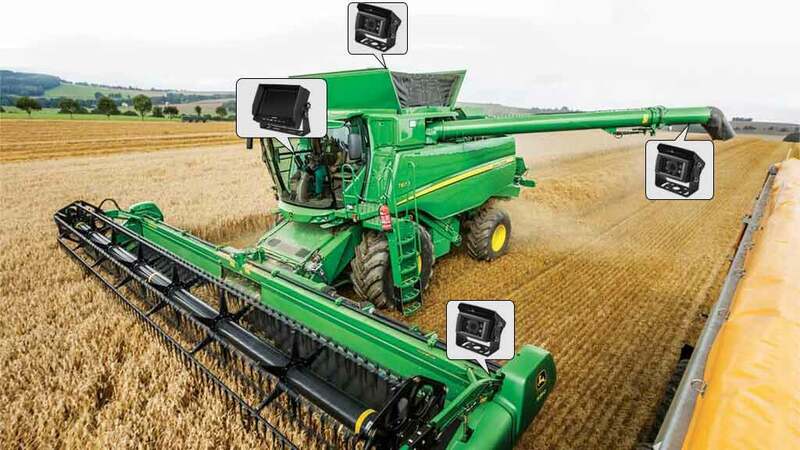 Installing a haloview camera on the harvester's arm can see if the food is full. 3. When working in low light, the camera automatically triggers the night vision function to improve work efficiency.